How to care for your favorite Luxury Watch - make it last & keep its value! / How to care for your favorite Luxury Watch – make it last & keep its value! The longevity of your luxury watch depends entirely on how well you take care of it. From correct cleaning methods, to must-have accessories, there are many ways to extend the life of your watch. The feeling of owning a well-engineered time-piece is a priceless one, and a well-selected watch will function as both a status symbol and a meaningful way to keep a physical grasp on time, for many years to come. With watch ownership, comes hefty responsibility. Will it be in pristine condition long enough to become a gift for your children one day? Will it keep its value over time, just in case you want to put it back on the market? The tips n’ tricks in this post will do wonders for keeping your watch ticking for the long haul. Click on the link below to take you directly to the answer to your most pressing question, or continue scrolling to see all of our recommendations. Whenever possible, don't store your luxury watch on its side or mixed in with other jewelry. Watches often get scratched this way. Instead, consider buying a container intended specifically for watch storage. Correct storage will keep it safe, sound and most importantly, unscathed. Many luxury watches come with attractive boxes that are sufficiently high-quality to keep as a long-term storage box. If your watch comes with a good quality storage box, use this to store it when you're not wearing it, as it will keep it in an upright position. If you have more than one watch, or want extra security, then multi-watch storage cases, or a watch safe is worth looking into. Many people find that one watch isn't enough, which is why stylish multiple watch cases have been invented. These will happily store all your watches in one place, with each one secure and separate from the other. Some have multiple drawers and others come with a window in the lid to easily view the collection. There's a high portion of storage cases that are made with wood and have interior silk linings. There are plenty of options available to buy from your favorite watch dealership or online. Automatic watches are designed to keep themselves wound, but only while you’re wearing them. Watch winder boxes are a great storage option if you have a collection of automatic watches. Winders will keep watches wound, well-oiled and ready for use on the days you don't wear them. These range in price, so stick to regular watch boxes for the time being, if you’re on a budget. If you’re a proud owner of a priceless watch collection, then a highly secure safe is a good idea. There are safes that are designed specifically for watches, as well as combination watch-winder safes. 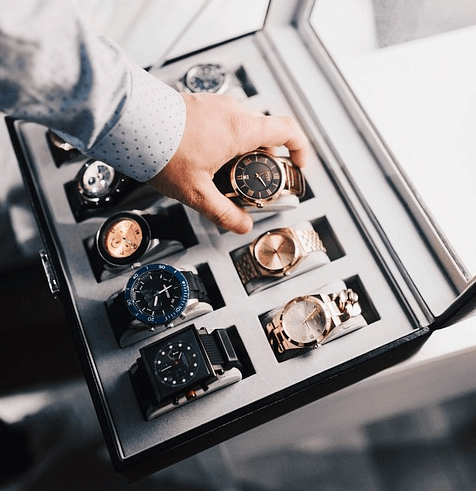 If you have an extensive luxury watch collection, then the investment of a watch safe is worth considering for added peace of mind. As a specialized safe can be pricey, a regular fire-proof safe with your watches stored in cases inside, could be just what you need. Luxury watches can withstand impact, water, and other environmental factors to an extent. Unless your watch was specifically designed for these following elements and environments, try to limit or avoid exposure to them. Magnets, such as those found in speakers, computers and cell phones, can cause your watch to run less precisely, so take care to keep your luxury watches at a distance from them. If you were unable to prevent damage, don’t worry as magnetic damage can be reversed. Take it to a reputable watch repair and service shop, as they will be able to return it to its original reliability. To avoid damage to its functionality, keep your luxury watch out of extreme temperatures. Extreme temperatures are considered below 0˚C / 32˚F or above 60˚C / 140˚F. This means no watch-wearing expeditions to the Arctic – and don’t leave it sitting in the hot sand at the beach, or in your car on a hot day either. The impact caused by dropping your watch can not only damage the movement or exterior of your watch, but also void your warranty. Always secure your watch well around your wrist and know its limits. Keep perfumes, cosmetics, and household cleaners away from luxury watches, particularly those with leather straps. These substances can cause corrosion or discoloration to even high-quality materials. Water-resistance measurements can be difficult to understand. A watch that is rated as resistant to depths of 100 m / 330 feet, for instance, can withstand that depth of submersion in a perfect lab setting. If you want to take your luxury watch scuba diving or deep diving, then look for a watch that's ISO 6425 rated. 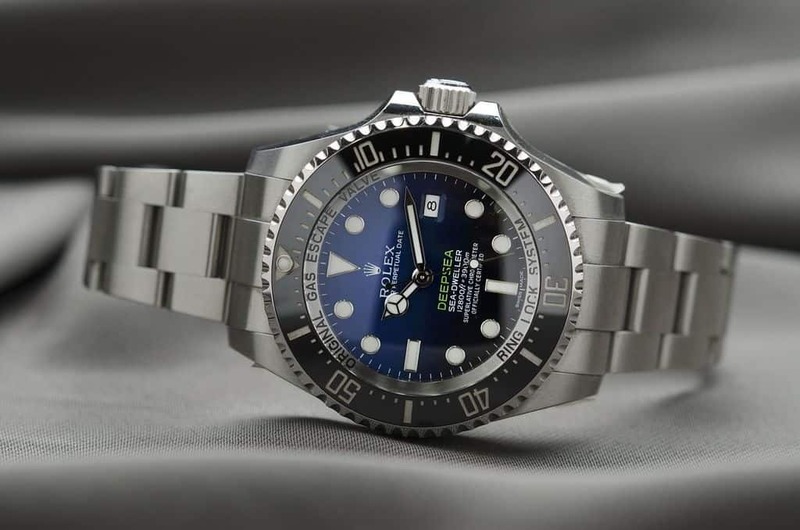 When in doubt, read reviews on the watch you’re interested in and make sure it is a true Diver's watch and meets these standards. Luxury watches are made from high-end, lustrous materials with fine finishes. A regular professional cleaning and servicing is highly recommended, but you can also do some maintenance at home. Even on a virtually air-tight watch, a dirty exterior can lead to a less-than-perfect interior. Sweat and dirt can accumulate over time and even corrode the watch, which will significantly reduce its value. Clean non-water-resistant watches with a soft cloth, and clean water-resistant watches with soapy water and a cloth or soft-bristled toothbrush. 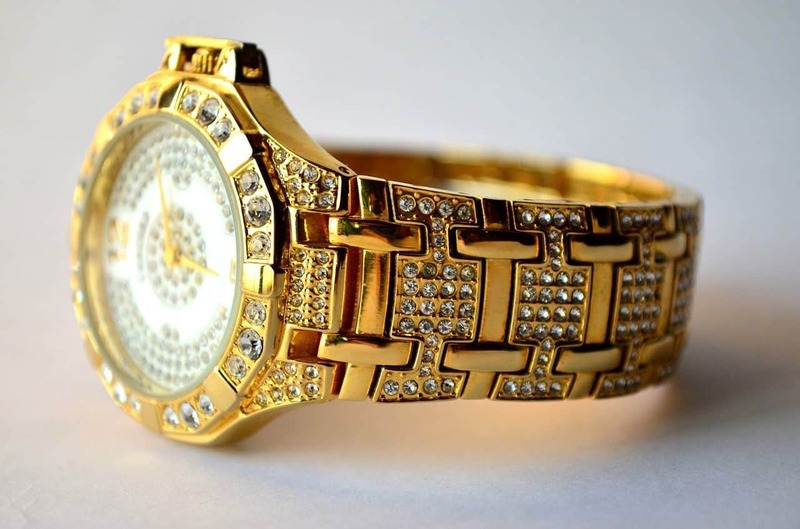 Luxury watches (particularly those designed for women) often feature precious jewels such as diamonds and rubies. You need to care for these luxurious pieces just like any other precious jewelry, so they always look their best. To clean bejeweled watches, find specific instructions for the gems found on your watch. Regular meetings with a professional jewelry cleaner may be in order, also. If you have a watch collection that has a lot of monetary or sentimental value, then regular watch maintenance is important even if the warranty has ended. It’s a good idea to get your luxury watch serviced (or “overhauled”) at a professional maintenance location every 3 to 5 years. If your watch seems to be in pristine condition, you can, alternatively, choose to service it every 8 to 10 years. 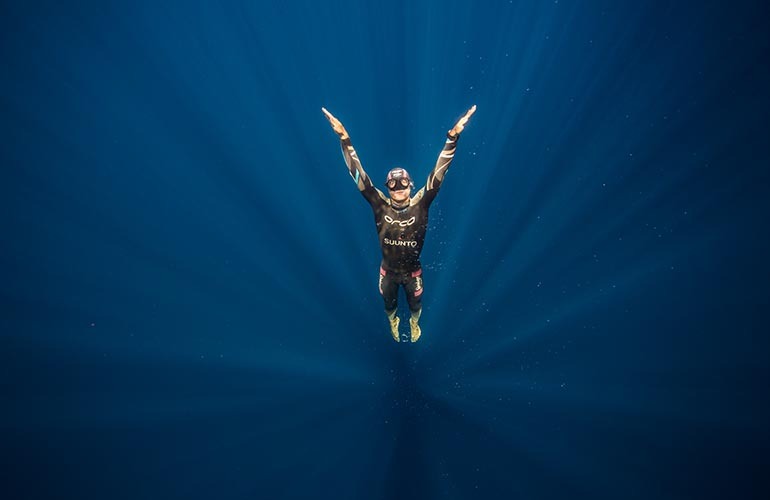 The interval between services should be more frequent if you own and regularly use a diver's watch or other sporty watch. Other indicators that it’s time for a checkup include visible moisture inside the case, an imprecise second hand, and other noticeable irregularities. A luxury watch collection (or even a single luxury watch) is a major financial asset. If theft, loss or damage are possibilities, then consider insuring your collection. Watch insurance, like all other insurance, takes research too. The options can seem endless and finding the best will take time and research. Doing thorough research on watch insurance, is time well spent. If you already have a home or contents insurance policy, then give them a call or check the fine print of the 'other valuable personal possessions' section. You may already be covered and just need to add your luxury watch to your personal items list. Depending on the policy though, you may be fully exposed to losses or damages to your watch outside of the home. For more specialized insurance, look for jewelry insurance which covers the items specifically. You may need to get your items re-valued regularly for this type of insurance. A watch collection can be a source of enrichment and pride – it certainly is for a variety of accomplished people, from astronaut Buzz Aldrin to religious leader the Dalai Lama XIV! Not only can you pursue this fulfilling hobby lifelong, but you can also gift heirloom watches to your loved ones as symbols of love and value. That’s a lot of value and possibilities in such a small item. Don’t let that value decrease before its time. Take care of the possessions that matter most to you! Want more luxury watch news and reviews of affordable luxury watches? Follow our timepiece page to stay on top of your favorite hobby! 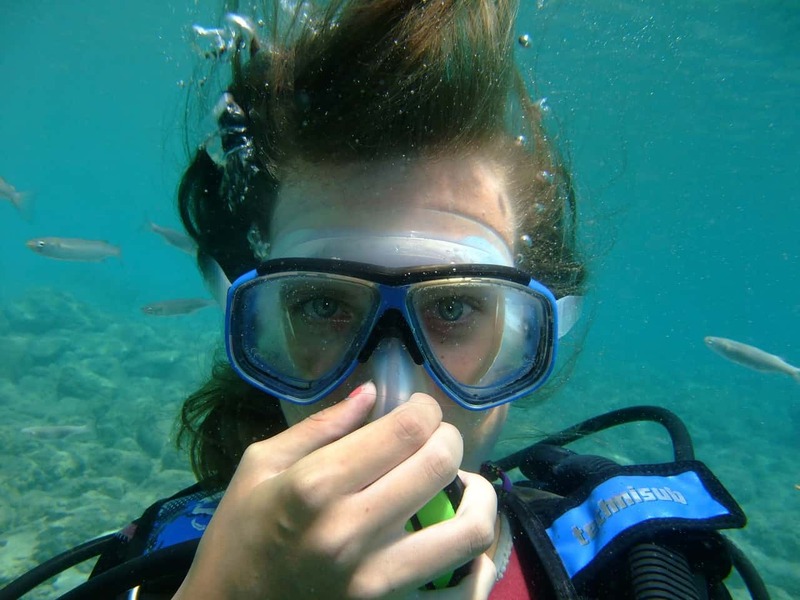 Tess DiNapoli is an artist, freelance writer, and content strategist for Watch Warehouse. She has a passion for yoga and often writes about health and wellness, but also enjoys covering the fashion industry, collaborating with industry insiders and designers, getting insight on the latest trends. I hadn’t considered my watch with encrusted jewels quite in the same way as my other jewelry when it came to cleaning. That’s a good reminder. Thanks. I am one of the few people that may be aware of Buzz Aldrin’s watch collection and have actually sighted most of them at a charity function one night. I am trying to catch up. Thanks for the fantastic post on the in-depth subject of watches. Well done.